Special guest artists: Kayleigh Butcher & Bonnie Lander, Dirk Stromberg, with thingNY members Andrew Livingston, Gelsey Bell, Dave Ruder and Erin Rogers. 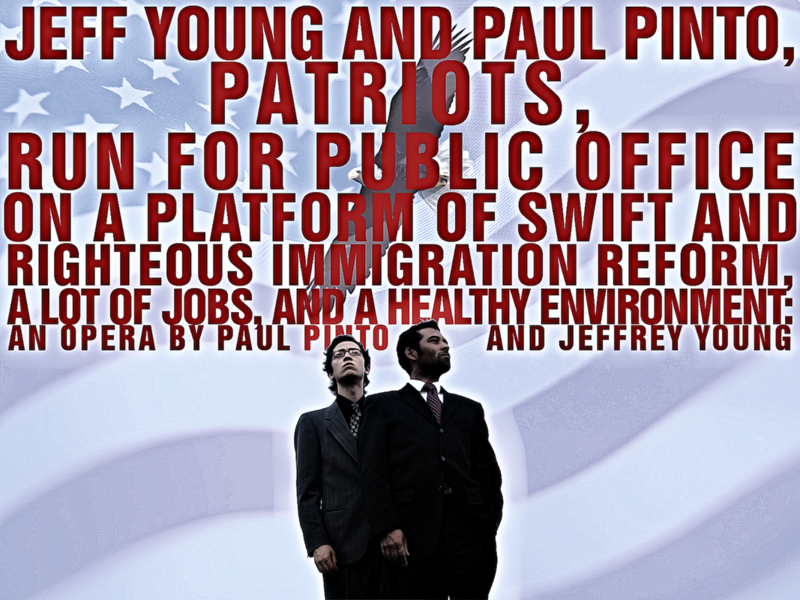 Jeff Young and Paul Pinto, Patriots, Run for Public Office on a Platform of Swift and Righteous Immigration Reform, Lots of Jobs, and a Healthy Environment: an Opera by Paul Pinto and Jeffrey Young is a new album from the duo from thingNY, available July 4, 2018 from Gold Bolus Recordings. A set of four collectible campaign buttons will accompany the digital release. 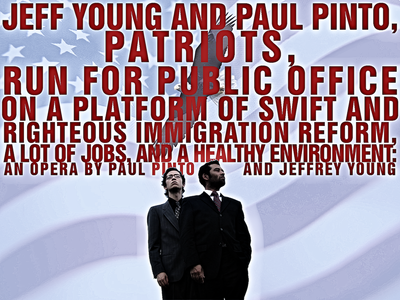 Then Pinto and Young will pack their boxes with those campaign buttons, shine their shoes, and head to the heartland. 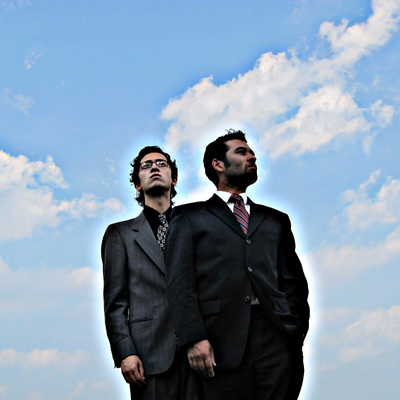 Their nearly monthlong, ten-state, tour includes stops at two festivals devoted to new and experimental music, Under The Radar Omaha in Omaha, Nebraska, and NMASS (New Media Art and Sound Summit) in Austin, Texas. Created in 2011 as a parody of contemporary politics and politicians, this half-hour piece of music-theatre has become an all-too-real reflection of today's bad behavior surrounding issues of immigration and national identity. 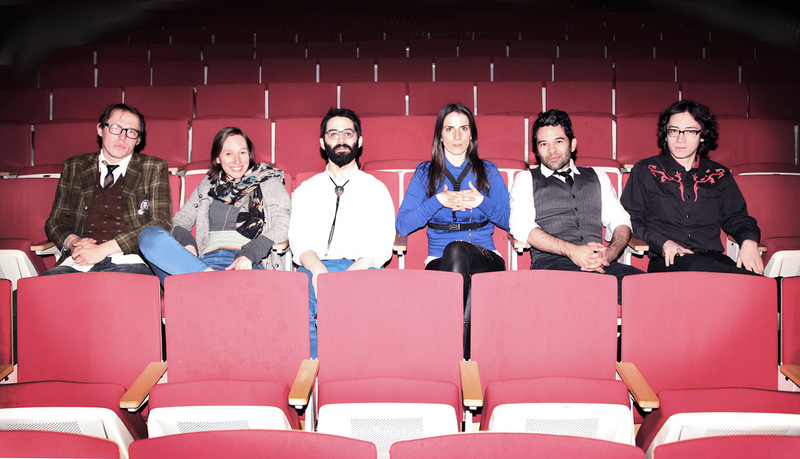 Young and Pinto collaboratively created the text, music, and staging, scoring the piece for their own voices, violin, percussion, a turntable, samples, and lots of cardboard boxes. In …Patriots…, instrumental music alternates with sung and spoken words, zany and humorous topical quips alternate with personal, pointed critiques of the political zeitgeist, fully notated sections merge into structured musical and textual improvisations, and tonal harmonies mix with startling, untraditional musical effects. ...Patriots... is engineered and mixed by Zach Herchen, and mastered by Caley Monahon-Ward. $7 advance / $10 door, with Bonnie Lander, Dirk Stromberg, Gelsey Bell, Andrew Livingston, Dave Ruder and Erin Rogers. 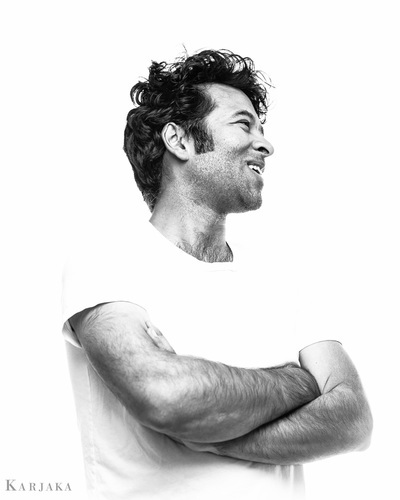 Paul Pinto. Photo by Aleks Karjaka (Karjaka Studios). thingNY. Photo by Anna Groth Shieve. "Face it, this is why you live in New York City." "...a stunningly effective mélange of singing, acting, electronics, and extended vocal techniques...I was consistently caught up in a conviction that I have rarely, if ever, seen an encyclopedic array of experimental effects so intimately linked with their expressive potential." 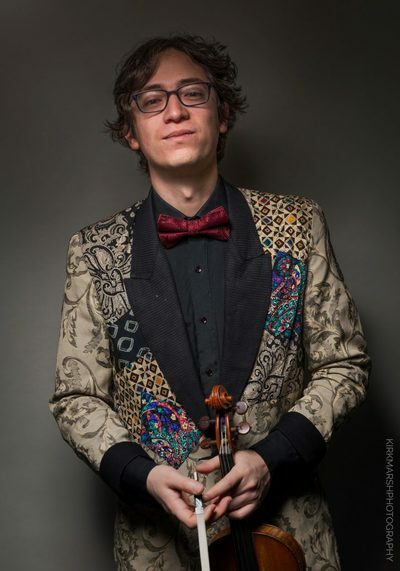 "...as avant-garde as anything I’ve seen recently – by which term I inexactly mean that it was more focused on how we live at this exact moment than on the traditional conventions of concert-giving." "thingNY catapulted a slew of notes and words from the stage and we laughed at snatches of the hysteria."